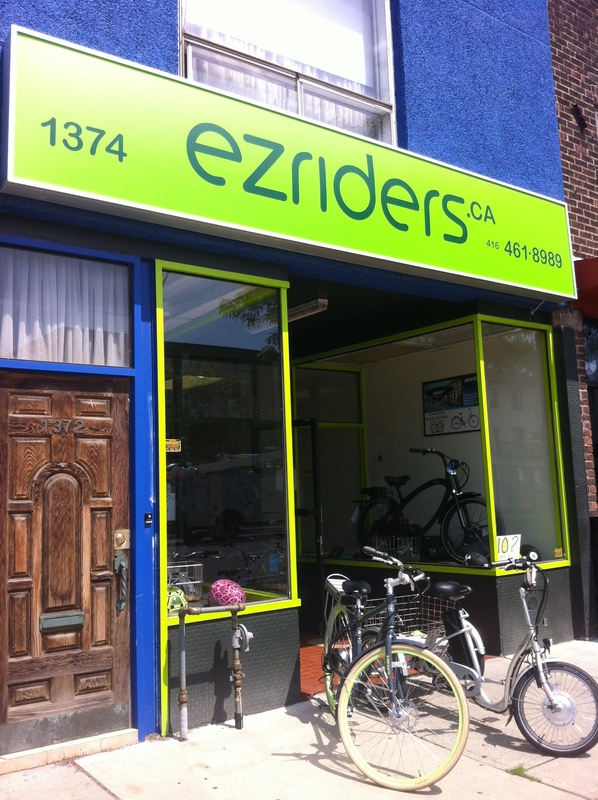 ezriders is located on the north side of the Danforth in the middle of Greenwood and Coxwell. And while the Walt Whitman reference may be completely lost on your average urban cyclist, they’d certainly be thrilled knowing there’s a cool shop in the east end that specializes in electric bikes of all shapes and sizes! Indeed, ebikes are ideal, alternative commuter vehicles that rival the efficiency of non-electric bikes, scooters and motorbikes, and it only costs about a quarter to charge its lithium batteries (the way you’d charge a smartphone). ezriders carries a series of ebike brand names including Pedego (California), Stromer (Switzerland), Currie (California) and Easymotion of BH (Spain) as well as their own line of ebikes like EZcargo and EZfolder. And although they are slowly moving away from showcasing this model, they also have the odd e-scooter. Scooters here range from $800 up to $2300 and bikes can start from $900 up to $4300. They currently have a special running for cargo bikes at $2500 (orig. $2800). 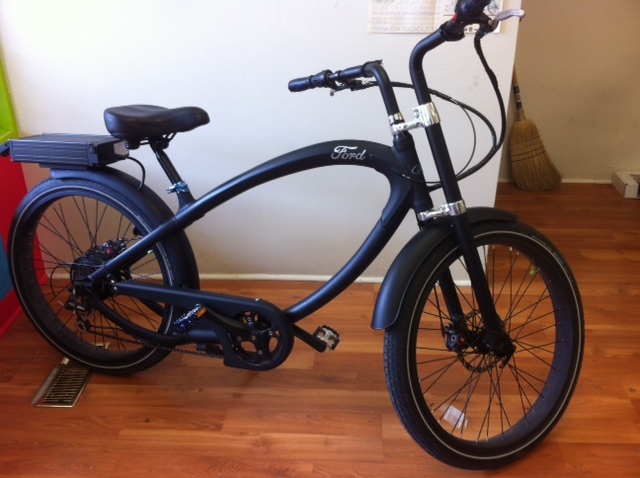 I noticed a handsome, black matte Ford (Pedego) cruiser, which prompted Greg to segue into a funny story familiar to many, but made me forget to ask him what the black beauty was going for. ezriders don’t just do ebikes. 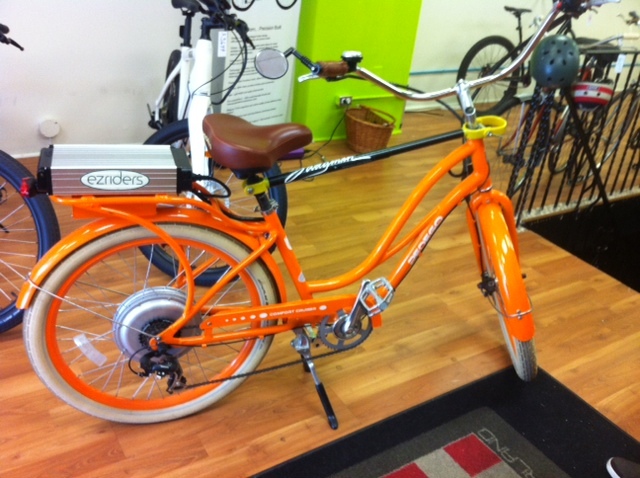 They also service non-electric bikes and offer a basic tune up for $40.